Mycotoxins can be detrimental to the quality of various grains. When present, they can have negative economic consequences for farmers and millers, as well as a disturbing impact on human and animal health. However, current detection tests aren’t always affordable, efficient or the most reliable. Farmers are unable to conduct their own tests, instead relying on expensive, often time-consuming lab tests—incurring costs that then get passed on to consumers. 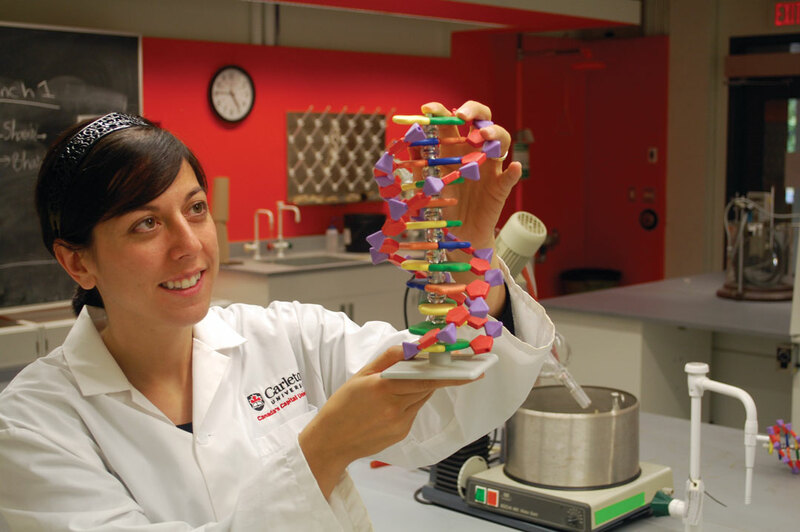 Maria DeRosa, an associate professor of chemistry at Carleton University, is currently developing a new mycotoxin detection test. She’s the principal investigator behind this new innovation, which she’s calling the paper test. Mycotoxins are naturally occurring, toxic chemicals created by fungi. In Western Canada, the fungi producing mycotoxins can be found in multiple sources, including fusarium, ochratoxin and ergot. Mycotoxins can be found in almost all kinds of grain in Western Canada, including wheat and barley. According to Barry Blakley, a professor in the department of veterinary biomedical sciences at the University of Saskatchewan, the presence of mycotoxins in Alberta wasn’t always a problem. “For many years, Manitoba had a lot of problems with fusarium, whereas Saskatchewan and Alberta did not,” Blakley said. “But in the last year or so, the moulds have been migrating west. Last year, substantial amounts were found in Saskatchewan and Alberta.” Blakley believes that this western spread could be due to changes in moisture patterns and weather conditions. On one level, the presence of mycotoxins in grains can have a detrimental effect economically. If the toxin is present, the grain is either downgraded or altogether unsalable—either way, farmers are unable to get maximum value for it. Down the line, if mycotoxins were to go undetected, they could also become a health issue for the consumer. Cooking contaminated grains isn’t enough to protect the consumer from harmful effects. “Mycotoxins are robust and they can survive many of the processes that would destroy other contaminants,” DeRosa explained. Depending on factors such as the type of mycotoxin and the concentration level, mycotoxin exposure can damage the nervous system. Ingesting mycotoxins can also impact animals’ health. Blakley explained that depending on the mycotoxin and its concentration, effects on animals include feed refusal (which comes with its own range of problematic consequences), negative impacts on the animals’ immune system and even abortion. “Mycotoxins are the biggest nutritional problem we’ve seen in livestock in the last two to three years,” Blakley said. According to DeRosa, there are a few different detection tests available. However, they range in cost, reliability and duration. 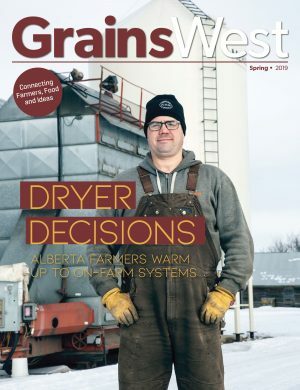 “If farmers want to spend a little bit more money and they have a little bit more time to do the detection, then grains can be sampled and sent to labs,” DeRosa said. But lab tests use expensive equipment and require the expertise of scientists; they’re not tests everyone can conduct or afford. DeRosa is working on developing a detection test that is cheaper, faster and more reliable than any other mycotoxin detection test available. This new test involves building aptamers—single-stranded molecules that are similar to DNA with binding sites that are specific to the fusarium mycotoxin. That is, the aptamer (also called a DON aptamer, as it’s specific to the DON mycotoxin) and the mycotoxin will fit together perfectly, much like two puzzle pieces. The initial phase of the process was discovering the piece of DNA that is the ideal shape to interact with the mycotoxin. Once the DNA sequence was identified, more strands could be created synthetically based on that discovered DNA sequence. DeRosa and her team have been building aptamers synthetically since 2010. But the aptamer on its own isn’t enough to act as a detection model. In DeRosa’s test, when mycotoxins are present in the grain, the affected grain will glow. According to DeRosa, this “takes some chemistry”; the aptamer won’t glow when it binds to mycotoxins unless there’s some modification. In a nutshell, the only way the test will glow is if mycotoxins are present. Because the aptamers are specifically shaped to hold mycotoxins, the aptamer would rather bind to the toxin than the nanoparticle, creating the glow. The components of the test are simple and affordable compared to other tests. The user collects samples on filter paper and then illuminates them with a UV light. “We are imagining the test being a little kit with a UV pen and a bunch of filter papers,” DeRosa said. It’s designed to be easy for anyone to use—no scientific background is needed—and users will receive an immediate answer as to whether grain is contaminated. 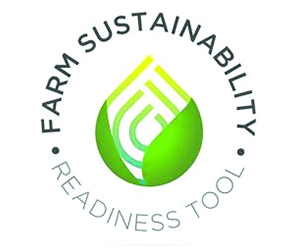 And because the test is designed to be more affordable than others out there, farmers can take more samples and will get a better understanding of contamination levels. According to DeRosa, the goal is to ensure that the test is cheap enough that it can be put into the hands of farmers and millers. It also needs to be easy to use so they can quickly test for mycotoxins themselves and make a decision based on those results. However, it also has to be robust, stable and reliable. Right now, the paper test is still in its infancy and not commercially available. Dozens of prototypes have been made in the lab, but DeRosa wants to make thousands and send them into the field to be tested. “The next step is to put them in the hands of farmers and see how it works for them,” she said. DeRosa also has plans to collaborate with Art Schaafsma, a professor of plant protection in the department of plant agriculture at the University of Guelph Ridgetown Campus. Schaafsma and his team test samples for mycotoxins. 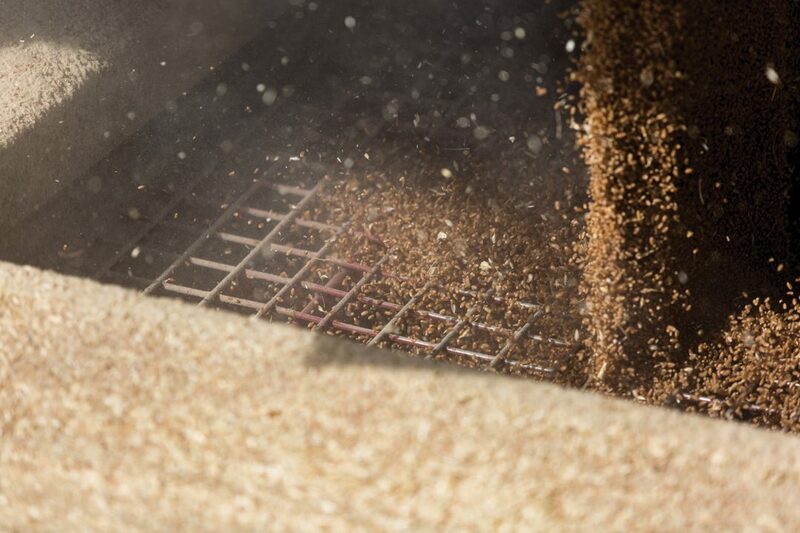 This year, Schaafsma has begun investigating whether mycotoxins can be detected by sampling grain dust. DeRosa estimates that, depending on funding and partnerships, it might take three to five years to determine whether it’s feasible for this test to be used in the field.